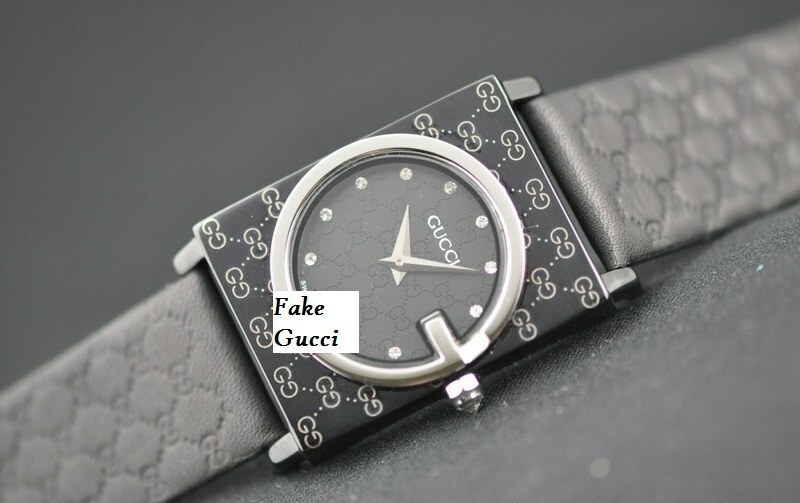 How to spot fake Gucci watches | iSpotFake. Do you? When someone decides to buy genuine Gucci watch, it’s certainly because of the brand. Some people even don’t mind spending a small fortune so as to add a piece of luxury to their wardrobe, but it’s quite heart-rending to find how young shoppers are being cheated every now and then. Check-out the face of the watch before buying it. The real pieces are always precise, perfectly spaced and their numbers are uniform. The fake pieces, on the other hand may feature odd spacing and always differ in size. Check out the second and minute hands. The brand always uses Swiss quartz movement, which is smooth. The hand movement on the replicas will either tick or stick. The “Swiss-made” tagline on real pieces are always on the bottom center of the face below the 6 o’clock position. Now just turn over the watch. Most of the authentic pieces have the model number displayed on the back. And if you see nothing but a crest or crest with the Gucci name then it’s pretty obvious fake. Another difference you can find that the crests of the replica are typically larger than those on the real watches. If you’re a real brand person then Fashionlady suggests you to visit their official website to know more about the markings. Just feel the weight of the piece you’re willing to buy. The original pieces are made from heavy materials such as stainless steel or gold, while the imitation models are likely to be lighter. Do check the links. The links of authentic numbers are metal while the replicas will always feature a hollow link. If you are not sure about the authenticity of the store you’ve landed, better visit any reputed store. Just don’t carried away by the alluring price tag. It’s good to compare the pricing but when you find a huge difference in the price for Gucci watches then there is something fishy. Look for authentic images of the watch. More the clarity of the image is, more you’re in safe hands. The images should be of high resolution, which makes it easier for you to check-out the details. Just leave the web store if you’re not convinced with the images. 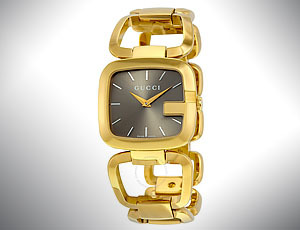 Last but not the least – if you’re buying a second-hand Gucci watch then do check for the proof of purchase. 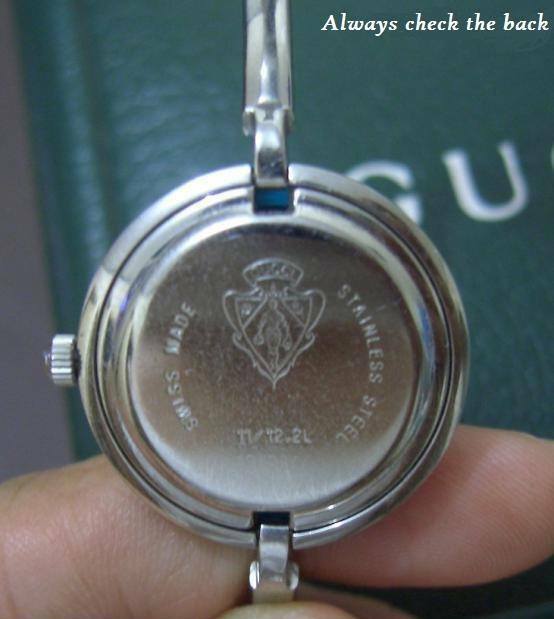 A Gucci watch comes packaged with a certificate of authenticity. Check the serial number.  You can verify the serial number with any nearest store to verify its genuineness.